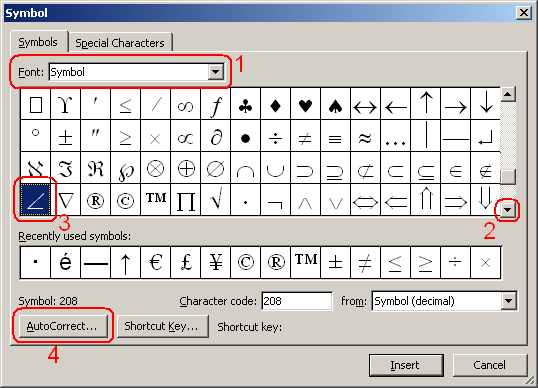 Select the “Symbol” font in the “Font” drop-down menu, scroll down to the angle symbol, and click the “AutoCorrect” button. 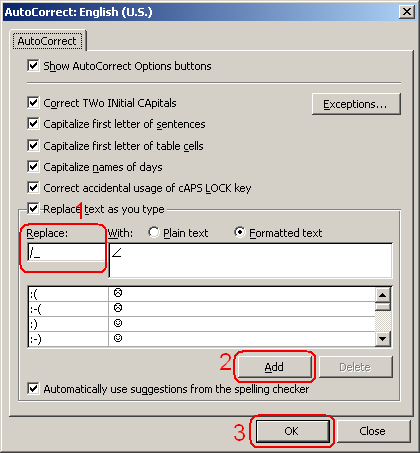 In the “AutoCorrect” window, type “/_” in the “Replace:” box (the “With:” box should have the angle symbol in it), click “Add”, and then click “OK”. 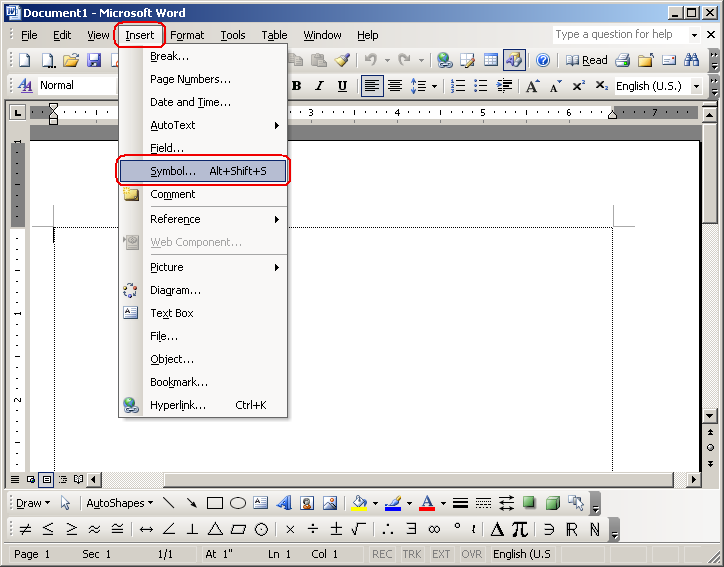 You can now type “/_” at any point in your document to get the angle symbol. You can use this for other symbols by selecting the other symbol, clicking on “AutoCorrect”, and typing something else in place of “/_”. For example, I like to use “/-\” for triangle, and “_|_&rqduo; for perpendicular.